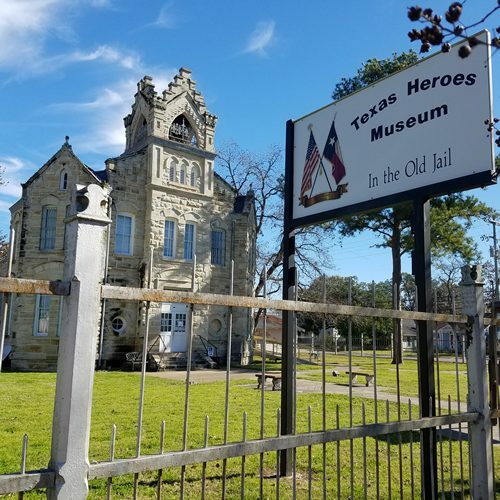 Fayette County Old Jail, now Texas Heroes Museum in La Grange Texas. 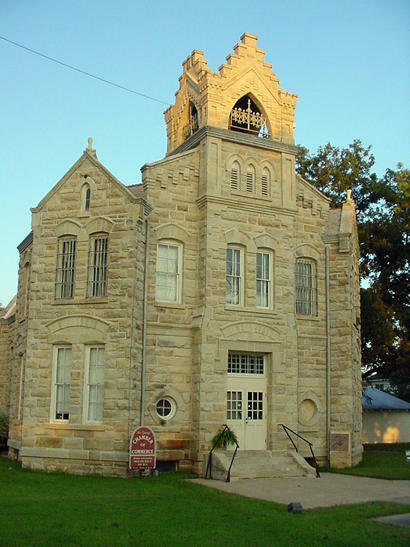 A local history published in 1975 stated: �The old jail may one day become a museum and landmark.� The jail was in use up until 1985. 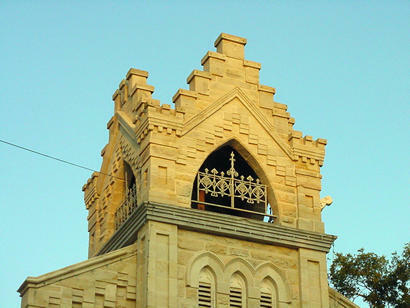 Now, in 2019 � the 135 year old structure is indeed a landmark. 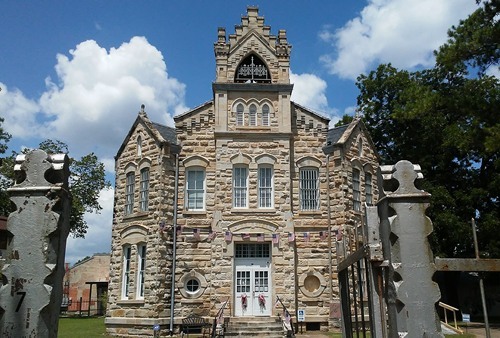 One of handsomest and best preserved 19th Century jails in Texas. 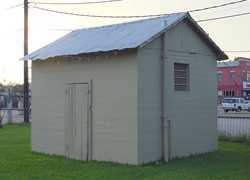 It currently houses the Texas Heroes Museum. 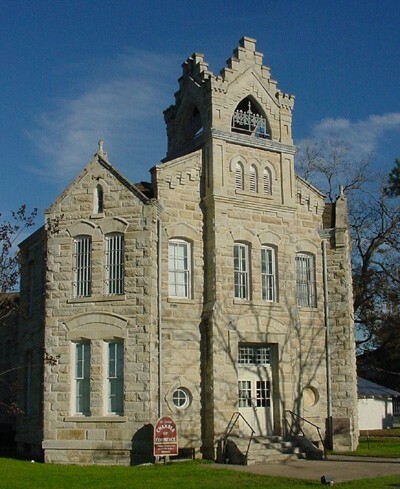 The people of La Grange in 1837 either believed in before-need planning or else they had a serious crime problem. 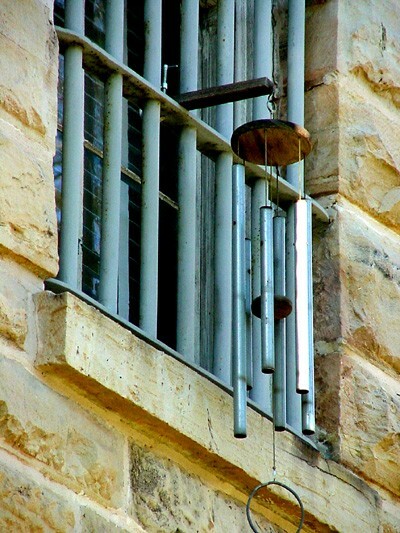 They organized the county in December of 1837 and had their jail completed by the next July. After this first jail wore out prisoners were then farmed out to be kept in private homes for a year. The county paid the keepers the munificent fee of $3 per day and there was probably a list of people willing to house and feed cold-blooded killers for serious money like that. The total expenditure for this experiment came to $622 � fully one half of the county�s entire annual budget. A prisoner named John Vaughn (crime unknown) had his trial date set so far in advance that when the arithmetic was done, it was realized his stay would cost the county $800. He was moved around to other jails � to get a lower bid. Finally, Vaughn was parked at the Travis County jail for a mere $111. 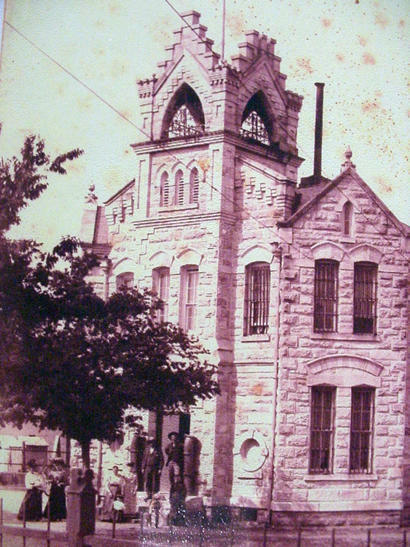 In the early 1880s, the county issued twenty-two bonds at $1000 each to build a new first-class jail. 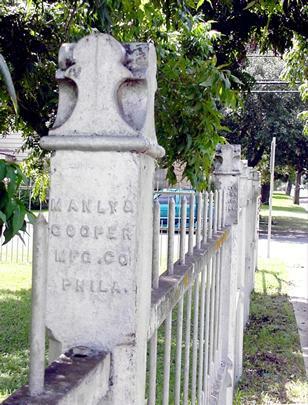 An iron fence was ordered from Philadelphia for $2,074. It managed to survive the scrap drives of WWII and it's still keeping livestock off the lawn 120 years later. So far, that comes to only $17 a year. 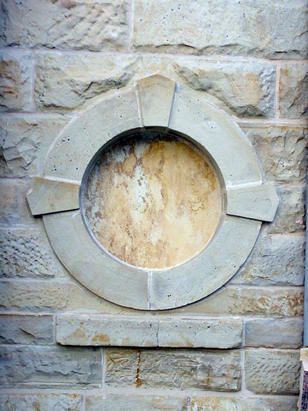 The building's limestone came from nearby Muldoon, Texas. 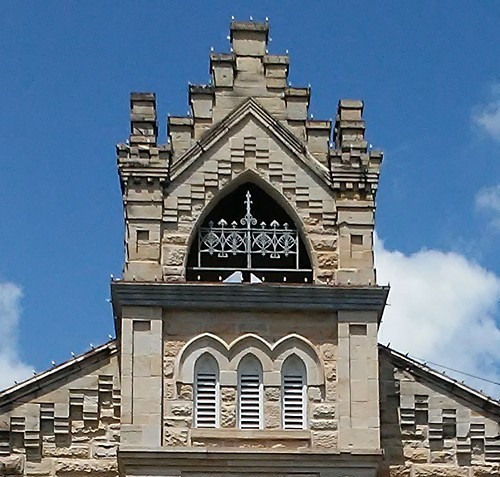 The stone was in demand for it's unusual blue color and it was used in many notable buildings around the state. 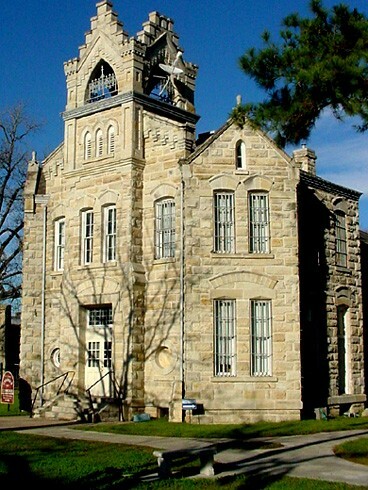 The county's courthouse one block north (1897) is also made of Muldoon blue sandstone. 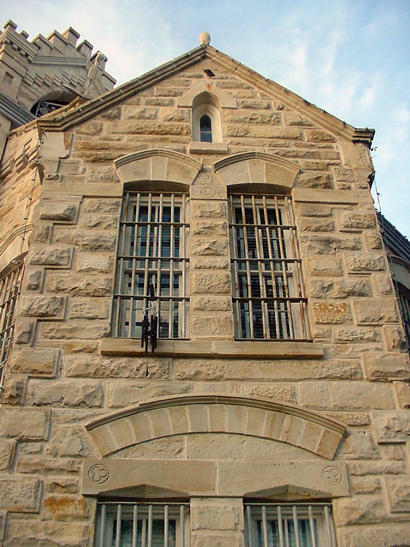 The jail is also said to be haunted. One of the suspected spirits is said to be that of a Fayette County woman who murdered a hired hand and then committed suicide by staging a successful hunger strike. Another legend says the skeletons of several hapless prisoners remain chained to the walls under sand and silt from a flooding of the Colorado River. The sheriff couldn't - or didn't - get them out in time. They've been telling that story around cub scout campfires for years. 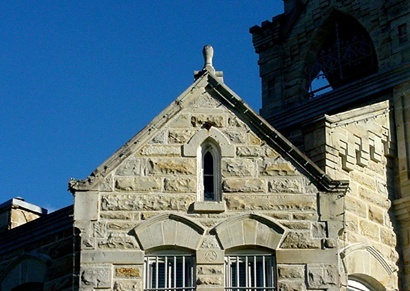 Another convenient feature were the two exterior �drunk blocks.� These freestanding cement cells on the jail lawn came with their own �bath.� These cells were for prisoners too drunk (or rowdy) to climb the four-step staircase of the entrance. One of the cells has been kept for display.